We get it – sometimes treating acne can be totally overwhelming! With this easy, convenient kit, you’ll have exactly what you need to help control and treat your acne and keep skin looking healthy. This powerful 3 part kit is simple to use: just cleanse, treat and moisturize. 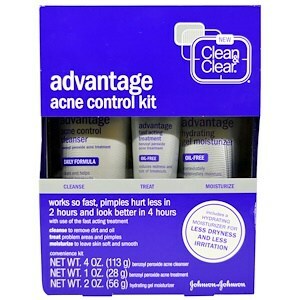 Use: For the treatment of acne. First, use the Acne Control Cleanser to help clear away dirt and oil, while helping to prevent breakouts. Next, apply the Fast Acting Treatment to the breakout area. The proven acne fighting ingredient will penetrate into pores to help clear breakouts while keeping new ones from forming. it also helps fight oiliness and shine right from the start. It works so fast, pimples hurt less in 2 hours and look better in 4 hours. And, you’ll see results continue to get better within a month. Last, use the Hydrating Gel Moisturizer to fight dryness and keep skin looking healthy. Use this easy kit two times a day for best results to maintain clear, healthy looking skin! Wet face. Gently massage all over face, avoiding eye area. Rinse thoroughly and pat dry. Because excessive drying of the skin may occur, start with one application daily, then gradually increase to two times daily if needed or as directed by a doctor. If bothersome dryness or peeling occurs, reduce application to once a day or every other day. If going outside, apply sunscreen after using this product. If irritation or sensitivity develops, stop use of both products and ask a doctor. Cleanse skin thoroughly before applying this product. Cover the entire affected area with a thin layer one to three times daily Because excessive drying of the skin may occur, start with one application daily, then gradually increase to two or three times daily if needed or as directed by a doctor. If bothersome dryness or peeling occurs, reduce application to once a day or every other day. If going outside, apply sunscreen after using this product. If irritation or sensitivity develops, stop use of both products and ask a doctor. After cleansing, smooth evenly over face. 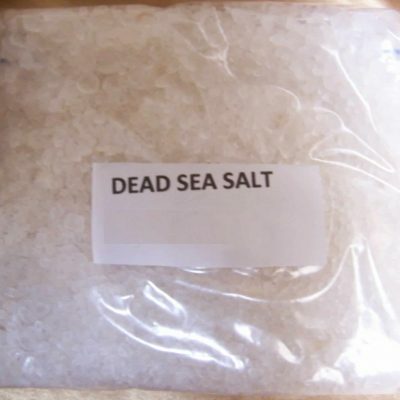 Water, dimethicone, glycerin, dimethicone/vinyl dimethicone crosspolymer, polyacrylamide, cetearyl olivate, ethylhexylglycerin, benzyl alcohol, sorbitan olivate, dimethiconol, C13-14 isoparaffin, dimethicone crosspolymer, chlorphenesin, carbomer, laureth-7, fragrance, C12-14 pareth-12, sodium hydroxide. 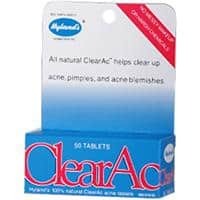 When using this product skin irritation and dryness is more likely to occur if you use another topical acne medication at the same time, if irritation occurs, only use one topical acne medication at a time. Avoid unnecessary sun exposure and use a sunscreen. Avoid contact with the eyes, lips, and mouth. If contact occurs, flush thoroughly with water. Avoid contact with hair and dyed fabrics, which may be bleached by this product. Skin irritation may occur, characterized by redness, burning, itching, peeling, or possibly swelling, irritation may be reduced by using the product less frequently or in a lower concentration. Do not use if you have sensitive skin. Are sensitive to benzoyl peroxide.